Brunette finish. 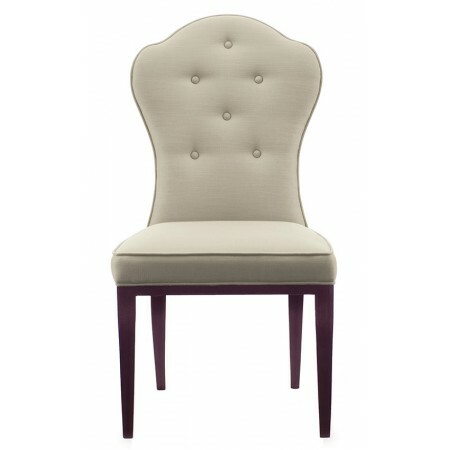 Upholstered seat, inback and outback with welt. Inback has decorative button trim.